Already under the IPA2010 ‘Fighting organized crime and corruption’, CILC and GIZ supported the authorities in Montenegro to get a closer cooperation with EUROJUST. This support over the last couple of years consisted of legislative advice to bring the Montenegrin data protection legislation in line with the EUROJUST requirements, training on data protection issues within Montenegrin law enforcement agencies, monitoring of the data protection observance in the public prosecution offices, training of the EUROJUST Contact Points in Montenegro and facilitating contacts with EUROJUST at both a strategic as well as an operational level. In early May 2016, the hard work of the IPA Montenegro team resulted in the signing of the EUROJUST-Montenegro Cooperation Agreement. After the ratification of this Agreement, it is now time for its implementation. Under the Cooperation Agreement, Montenegro is among others, entitled to have a Liaison Prosecutor at EUROJUST to facilitate the cooperation with all EU member states’ prosecution offices in cases Montenegro is involved in. Early September 2017, the Montenegrin State Prosecutor appointed Mrs. Jelena Djaletic as the first Liaison Prosecutor to Eurojust. Mrs Jelena Djaletic is a state prosecutor at the Higher State Prosecution Office in Podgorica and member of the Steering Committee of the IPA2014 project ‘International Cooperation in Criminal Justice: Prosecutors’ Network of the Western Balkans’. Mrs. Djaletic will start her assignment at EUROJUST early December 2017. In order to prepare for her new job, an introductory meeting at EUROJUST took place on 27 September 2017. 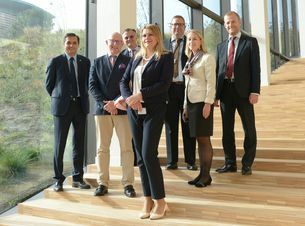 In the brand new EUROJUST building in the Hague, Mrs. Djaletic, accompanied by IPA2014 Second Prosecutor Silvij Sinkovec and IPA2014 Project Manager International Eric Vincken, met with EUROJUST Vice-President and National Member for Germany Mr. Meyer-Cabri, National Member, External Relations Team chair and National Member for the Czech Republic Mr. Lukaš Stary and National Member for Croatia Mr. Josip Čule. 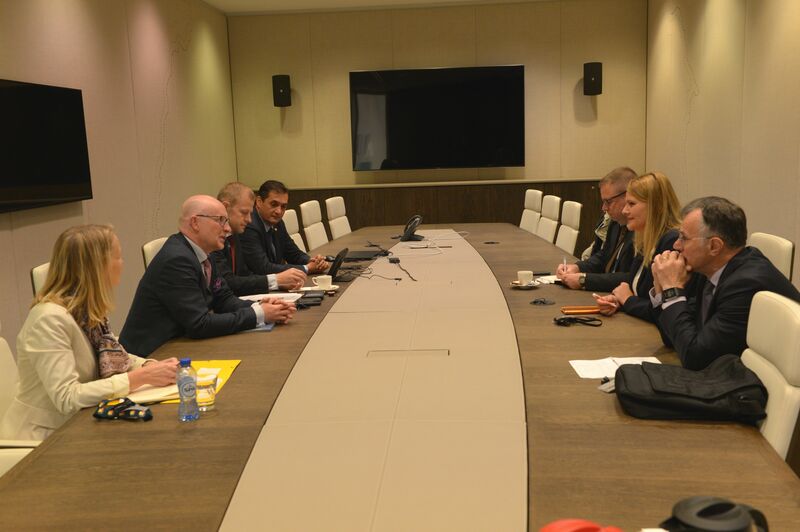 This can certainly be called another milestone in the closer cooperation between Montenegro and the European Union in the fight against organized crime and judicial cooperation. The IPA2014 project is proud to have been contributing to this tremendous result, congratulates the Montenegrin colleagues with this success and wishes Mrs. Djaletic all the best in fulfilling her new important tasks in The Hague.